When your done with rendering, you can click Edit in the Podium Rendering Manager and correct the colors in PIE. The sliders in Podium don't affect the colors that much. A little PP is almost always necessary. And the reddish tint is probably cased by reflection of the red floor and ceiling. Was it the intention to show the ceiling that prominent? Ok great. I'll do some post editing. 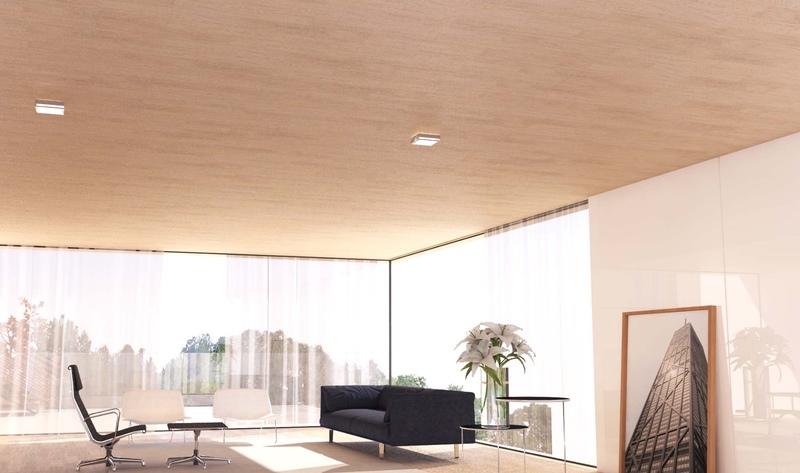 To answer your question, the intent is to have a wooden veneer for the ceiling. I may have to play with some better textures. Thanks for the response. Colour tints are generally caused by global illumination. This means that when light falls on (say) a blue surface and bounces off, the bounced light will have a blue tinge to it. it's the way light physically bounces and it's natural. What happens when we look at the world is that our eyes take in a series of snapshots called 'saccades'. Our pupils expand and contract in response to lighting levels and our brain pieces them together in a kind of realtime video stitching like Photoshop, that also equalises the lightning levels to make darker areas seem brighter and brighter areas seem darker. This is how sleight of hand works. Street magicians (and pickpockets) rely on distraction so that your eyes miss what is actually happening out of focus. Because we think we are seeing everything, when these shortcomings are exposed and exploited it seems like magic. You can see the discrepancy between our vision and reality when we take photos inside rooms which we think are acceptably bright, and the photo turns out too dark to see any detail. The photo is right, your eyes aren't! Therefore, with a physically-based renderer, it we want to duplicate the effects we perceive when we look at something, we need to use post-processing. This is why we built Podium Image Editor (PIE). With a few simple clicks, you can get your render to look how you want.